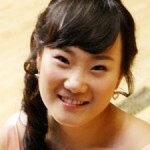 Born in Busan, South Korea, Youkyoung Kim began her piano studies at the age of five. Upon her graduation in 2005 from Sunhwa Arts High School in South Korea Ms. Kim enrolled at Seoul National University, completing requirements for her bachelor of music degree in 2010. Last year she received her master of music degree from the College-Conservatory of Music, University of Cincinnati, and continues doctoral studies there under Professor Awadagin Pratt. Youkyoung Kim received numerous prizes and awards in Korea as well as first prize in the College-Conservatory of Music piano concerto competition allowing her to perform Mozart’s D Minor Piano Concerto with the CCM Philharmonia Orchestra in 2013. Recently, Ms. Kim has taken first runner-up in the Kankakee Valley Symphony Orchestra Young Artists Piano Concerto Competition. She has participated in numerous festivals throughout Korea, Germany, and the United States. 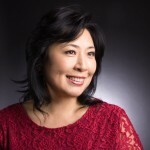 Ms. Kim has also performed in master classes given by the Andrew W. Mellon Foundation Chair in Piano at Johns Hopkins University, Leon Fleisher, the distinguished founding member and pianist of the Beaux Arts Trio, Menehem Pressler, and master teachers Choong Mo Kang and Yoshikazu Nagai. Daniël van der Hoeven (1985) was born in Amerongen, the Netherlands. He studied piano at the Royal Conservatory of The Hague, Netherlands with Naum Grubert and Ellen Corver. After his graduation he took lessons from Brigitte Engerer at the Conservatoire Superieure in Paris and attended several master classes. In 2013, he was the winner of the International J.S. Bach Competition in Würzburg, Germany. Other prizes include the YPF National Dutch Piano Competition in 2010 (1st prize and Gold Medal), Lagny-sur-Marne International Piano Competition in 2015 (2nd prize), International Bach Competition Leipzig in 2014 (Bärenreiter prize), as well as finalist diploma at the international piano competitions of Gorizia (Italy) and Malta. He has performed in Carnegie Hall, New York as well as in most major halls in The Netherlands (among others in the Concertgebouw Amsterdam) and in various venues in Belgium, France, Germany, Italy, Romania and Poland. He has recorded two well-received CDs with works by Prokofiev/Bartók and J.S. Bach. Currently he teaches at the Royal Conservatory of The Hague. Long Beach native Samuel Grodin is enjoying an increasingly busy career as a solo and collaborative pianist. A prizewinner in the XIX Ibiza International Piano Competition, Mr. Grodin has performed throughout the United States and Spain. While a student at the San Francisco Conservatory of Music, he was the recipient of the Harold W. Scheeline Piano Scholarship. His teachers have included Dr. Sharon Mann, Craig Richey, and Nina Scolnik. He has spent several summers at international music festivals, studying with Julian Martin, Robert McDonald, Antoinette Perry, Marc Durand, and Joseph Kalichstein. Mr. Grodin has performed in master classes with Emanuel Ax, Blanca Uribe, Dominique Weber, and Stephen Hough. He has performed at the Carpenter Center in Long Beach, the San Diego Central Library, the San Francisco Museum of Modern Art, the Palace of Fine Arts, and the Yerba Buena Center for the Arts. He has appeared as soloist with the CSULB and Bellflower Symphony Orchestras. Mr. Grodin is currently a candidate for the Doctor of Musical Arts degree at the USC Thornton School of Music, where he studies with Dr. Lucinda Carver. 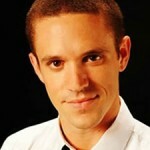 As a graduate teaching assistant, he teaches group and applied piano to undergraduate students at USC. Praised by the Washington Post for his “sparkling, highly musical” playing and by the Huffington Post for his “dazzling fireworks”, American pianist Christopher Goodpasture has established himself as a musician of inimitable and refined style. He has been the top prize recipient of the Iowa International Piano Competition (2015), the Susan Torres Competition for pianists (2012), the International Klaviersommer Competition in Germany (2011), and the Los Angeles Bicentennial Liszt Competition (2010). Festival appearances include the Banff Centre, the Eastern Music Festival, the Sarasota Music Festival, Kneisel Hall Chamber Music Festival, the International Holland Music Sessions, and the Music Academy of the West. Born in Los Angeles, California, Christopher holds degrees from the University of Southern California and the Glenn Gould School in Toronto. Currently he is pursuing his Master’s Degree at The Juilliard School in New York City, where he was awarded the Irene Diamond Fellowship. Christopher’s primary teachers include Hung-Kuan Chen, Jerome Lowenthal and John Perry. Ashley Hoe is currently pursuing her Master of Music Degree in Piano Performance under scholarship at the University of Southern California, studying with Antoinette Perry. She has earned many honors and awards as a pianist and violinist, including top prizes in the Coeur D’Alene Young Artists Competition, Music Teachers’ Association of California (MTAC) Piano Solo Competition, and Oregon Music Educators’ Association (OMEA) Solo Competition. As a violinist, Ashley has served as concertmaster of the USC Thornton School of Music Concert Orchestra and she is now section violinist in the Debut Orchestra of the Young Musicians Foundation of Los Angeles. Ashley previously studied piano with Cynthia Stauffer and violin with Faina Podolnaya while establishing a successful teaching studio in Southern Oregon. In addition to her musical achievements, Ashley has served as the Student Liaison and the Assistant Director of the Siskiyou Violins. She has performed as a violinist with the ensemble since their Carnegie Hall debut in 2005. Ashley is currently teaching at the USC Thornton School of Music as a Graduate Assistant and maintains a private studio in the Los Angeles area, tutoring both piano and violin. Japanese pianist Hidemi Minagawa began her piano studies at the age of two, and was a prizewinner in several competitions in the Hong Kong/Macau area throughout her childhood and adolescence under the tutelage of Liane Shishnia. Her performances include concerto appearances with the SAR Philharmonic Orchestra in Hong Kong, the Hudson Valley Philharmonic in USA, University Philharmonic Orchestra at University of Michigan, and the Ann Arbor Camerata; and chamber performances for Japan’s NHK radio, NPR’s The Front Row, Houston Young Artist’s Concert, the Steinway Hall, and the John F. Kennedy Center for the Performing Arts. Her recent prizes include winner of the 2015 School of Music, Theatre & Dance Concerto Competition at University of Michigan, second place at the 2015 Lima Symphony Orchestra Young Artists Competition, winner of the 2014 Ann Arbor Camerata Concerto Competition, awards at the 2013 MTNA Young Artist Piano Competition, and winner of the 2012 Jacob Flier International Piano Competition at Piano Summer at New Paltz. Ms. Minagawa’s principal teachers are Dr. Logan Skelton and Dr. Robert Roux. 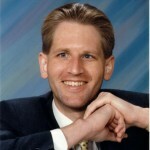 Brian Hall lives in Medford, Oregon with his wife and five children. 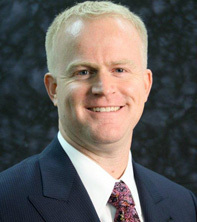 He is a busy anesthesiologist, and is the managing partner in a large anesthesia group. Additionally, he serves as the Chief of Surgery at Asante Rogue Regional Medical Center. 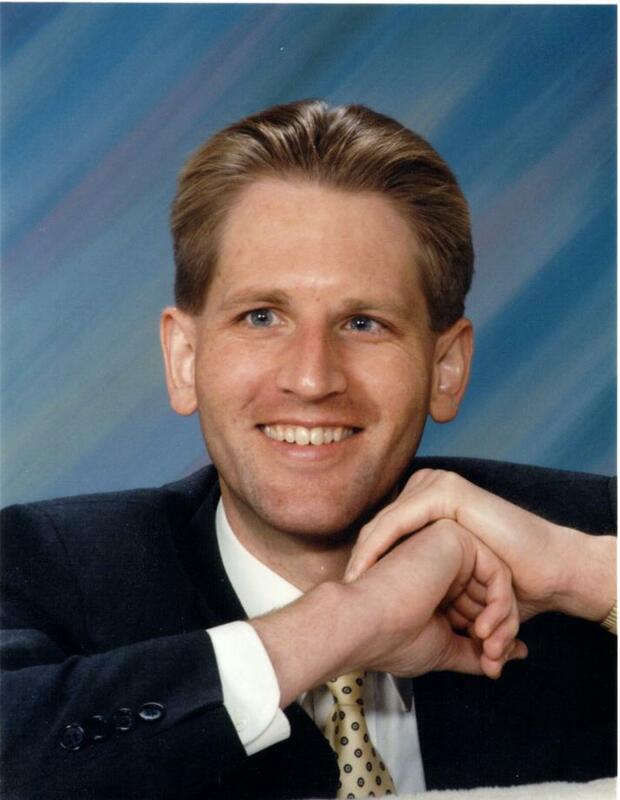 Before attending medical school at the University of Utah he completed a bachelors degree in piano performance at Brigham Young University, where he studied with Dr. Paul Pollei. Brian now plays the organ weekly for his church congregation. Brian’s wife Jill is also a musician, and music plays an important role in their home. He believes music is vitally important in developing children into well-rounded adults. Brian also encourages his children to work with him as a beekeeper. With their help, he manages nearly seventy hives. 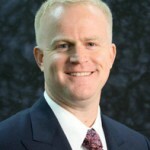 Brent Hanson is a software development and database management consultant for Hewlett Packard Enterprise. He started piano lessons at age eight and received a Bachelor of Arts in Music at the University of Northern Iowa. He later received a Master of Science in Library Science and Master of Business Administration in Information Systems at the University of North Texas. His musical interest is focused on obscure nineteenth-century Romantic composers, such as Alkan, Balakirev, Godowsky, Henselt, Liapunov, and Medtner. He currently resides in Olympia, Washington. Naomi Okumura Hobbs was born and raised in Shibuya, Tokyo, Japan. She started taking piano lessons at age four and earned her BA degree in Piano Performance at the Musashino Music University in Tokyo. Afterwards, she taught at that institution for ten years. In 1991 she founded the performing group “Melody Tree” and organized concerts in which piano teachers and amateur musicians performed together. In 1998 she performed Rachmaninoff’s Second Piano Concerto with the Kanagawa Philharmonic Orchestra in Kanagawa prefecture. In 1999 she moved to San Diego, California and became the music and choir director for five years of the Pioneer Ocean View United Church of Christ. She is also a board member of AmateurPianists, the nation’s largest piano group for amateur. She regularly performs solo and piano duo concerts throughout the San Diego area and is a composer and arranger of piano music. In November 2012 she won first place at the professional division of the 7th International Piano Competition held in Mexico. Una Stroda was born in Latvia. She holds a BA degree in Piano Performance and Accompaniment from the Latvia Academy of Music. After teaching music for several years, she decided to venture into the field of theology. First she graduated with BA in Theology and Religious Studies from University of Latvia, and then continued her theological studies in Switzerland where she received a MA degree in Ecumenical Studies from University of Geneva. From Switzerland, Una moved to the United States to further her theological education. She graduated with a MA degree in Theology from Catholic Theological Union at Chicago, followed by a PhD in Systematic Theology from Lutheran School of Theology at Chicago. The topic of her dissertation was God and laughter. While still interested in theological research and presenting at various conferences, such as upcoming conference at Samford University on transhumanism and the church, Una has recently discovered the world of amateur piano competitions. She has been a semifinalist at two Chicago Amateur Piano competitions (2012 and 2014), as well as the participant of Boston and Washington D.C. piano competitions. 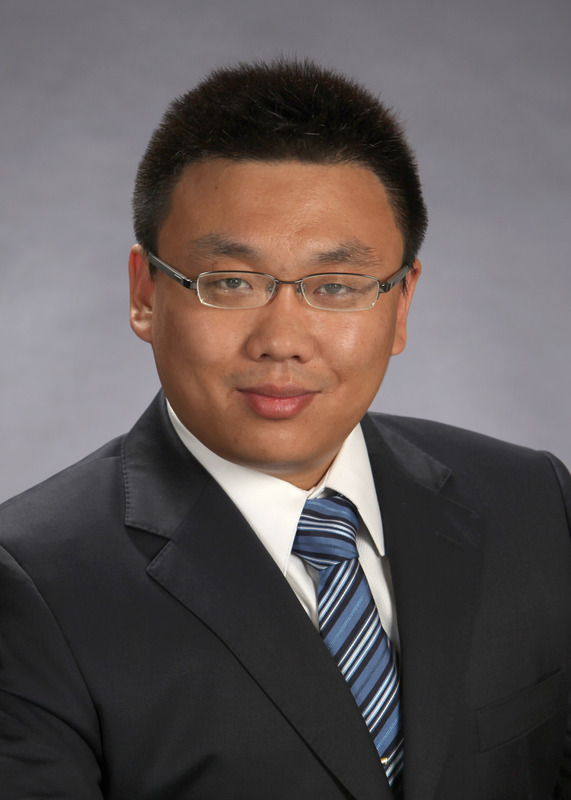 Dr. Yinuo Tang was born into a musical family in Beijing, China, where he began studying piano with Guangren Zhou at the age of six. After winning many regional and national piano competitions, he gave a successful public recital at the Forbidden City Hall when he was seventeen. With great enthusiasm for performing, he has performed in more than twenty countries as an active young pianist since then. 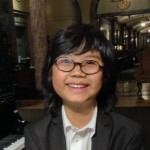 In 2001, he performed at Lincoln Center, New York City after winning the Finalist Award in Lennox International Young Pianist Competition at Dallas. He received a bachelor’s degree in economics from Tsinghua University. In 2008, he performed at the National Center for the Performing Arts (the Egg) in Beijing, China. As a MPA candidate at Cornell University, he studied with Professor Xak Bjerken and gave a recital there in 2010. In 2015, he earned his PhD in Strategic Management at University of Pittsburgh. During his PhD study, he continues his piano training with Donna Amato and has performed in master class with Edward Auer. 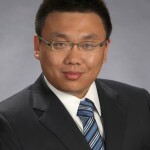 He is now an Assistant Professor in Strategy and International Business at The University of Hong Kong. His scholarly work has appeared in Journal of Corporate Finance and Academy of Management Proceedings. Utako Tanigawa, a native of Japan, started playing the piano at the age of three, but stopped playing after several years. After coming to the U.S. she earned degrees in Mathematics, Computer Science, Software Engineering, Management Science and Engineering, and a Ph.D. in Information Systems. 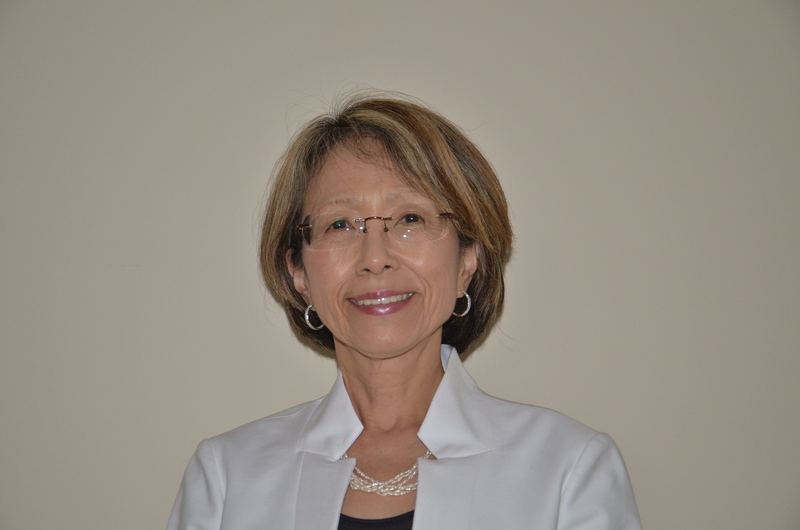 Dr. Tanigawa has been engaged in executive positions in global corporations for more than two decades. In addition, she’s been an academic researcher and lecturer at universities such as Stanford, Boston, Colorado, Chicago, and Nova Southeastern University. About five years ago, her life had a dramatic turn due to a life threatening illness. Although it severely damaged her body, her love of music returned to provide a tangible lifeline. Today music continues to play a key role as she continues her recovery. She has been a contestant of several competitions such as Van Cliburn, Washington International Piano Artists, Chopin competition in Poland. 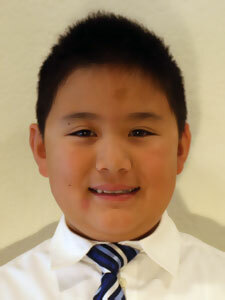 Ray Chen, age ten, is a 5th grader at Gomes Elementary School in Fremont. Ray has been studying piano under Peyhwan Kuan since he was six. Though he has won numerous awards at US Open Music Competition and Classical Masters Music Competitions since 2012, this year is an exceptionally fruitful year for Ray. He did well right from the first audition during the Junior Bach in January, followed by the US Open Music Competition in February, then East Bay Foundation Competition in late March, and in early June at the Chopin Competition for Young Pianists in San Francisco. The best is being the first place winner at the San Francisco Chopin Competition for Young Pianist. Additionally, Ray was invited to perform for the Junior Bach Festival at The Crowden School and Music Center in Berkeley in March, at a San Francisco Community Music Center concert in May, and performed at Malcom X Elementary School in Berkeley in June for East Bay Music Foundation Outreach program. Ray enjoys performing regularly for the seniors at the Fremont Hills and Aegis Garden of Fremont. Besides piano, Ray is a member of Fremont Youth Basketball Club and local Cub Scout Pack 447, and he is holding a red black belt of Chinese Martial Arts. 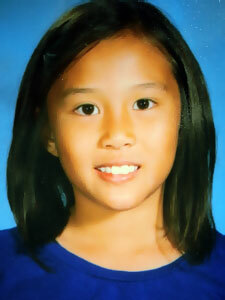 Nine year old Katharine Lee was born in Bellevue, Washington and raised in Orange County, California. Katharine’s great passion for music and art starts at a young age. She loves to play piano, sing, draw and write. 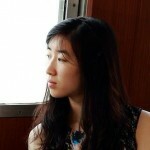 She has studied piano at OPUS 119, the school of music conservatory program under the direction of Ariel Yang since 2011. Katharine is the winner of many piano competitions, including first in the Open Solo category during the 50th Anniversary of the Southwest Youth Music Festival, and first in the MTAC Baroque Festival. Katharine had the privilege of performing in Carnegie Hall at age 6. She was awarded third at the 2013 San Jose International Russian Music Piano Competition, the youngest participant among all contestants. Katharine is the winner of the 41st annual Long Beach Mozart Festival Competition and was featured as a soloist at the opening gala during the Long Beach Symphony 2013 season. Most recently, Katharine is the youngest 3rd prize winner at the 2015 Virginia Waring International Piano Competition and had her concerto debut at McCallum Theater in Palm Desert performing the complete Piano Concerto by Mozart. 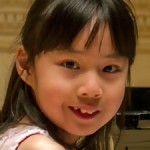 Quenna Nguyen began studying piano at age four. 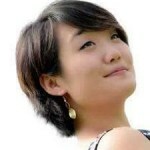 She has won first prizes in numerous piano competitions, including the Long Beach Mozart Festival in 2011 and the Los Angeles Young Musician International Music Competition in 2013. 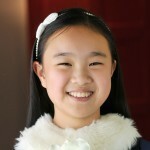 She is currently a student at the Colburn School Music Academy, studying with Dr. Myong-Joo Lee. Astra was born in New York and began her pianistic studies at age four. Ms. Phoon has frequently been invited to perform at local public schools (P.S. 310) as well as the Aaron Copland School of Music in Queens College of NY. 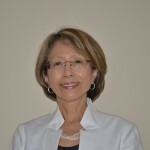 From the age of five, Ms. Phoon won numerous first prizes in local competitions, including the New York State Music Teacher Association competition. In addition, after winning the second in the Piano Teacher Congress competition and first in The Little Mozart competition, Ms. Phoon was invited to perform at Weill Hall in Carnegie Hall, followed by a master class with Mr. Igor Lebedev. 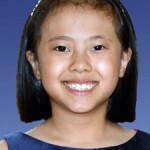 Earlier this year, Ms. Phoon competed at the International Young Artist Piano Competition in Washington D.C., and was invited to perform at Ward Recital Hall on the campus of Catholic University of America. 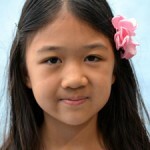 She has been a student of Dr. Tian Song for four years since she was four years of age. 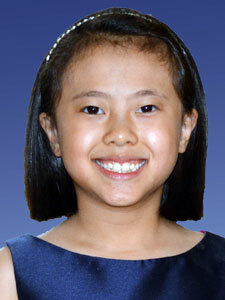 Sophia Si began piano lessons at age 4 and currently studies with John Weems. She held first place in the 2015 Kahan Competition for Child Piano Prodigies, 2015 Blinn College Young Pianist Competition, and 2015 Forum Young Artist Competition. She held second place in the 2015 International Keyboard Odyssiad Competition in Ft. Collins, CO (13 years and under category). She won the title of 2015-2016 Houston Young Artist. Sophia attends St. John’s School in Houston, TX. Outside of music, she is a nationally ranked chess player (top 7th female player in her age group in spring, 2014) and enjoys learning advanced math. She is also an exuberant traveler who enjoys swimming and skiing. 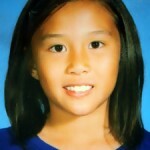 Rebecca Sun, age nine, is a fourth grade student at Clark Elementary School in Issaquah, Washington. She started receiving formal piano training under Dr. Ivona Kaminska at the Chopin Academy of Music when she was four and has developed a great passion for music and performance since then. Rebecca has performed in many concerts at various venues in Seattle area including Benaroya Hall, Frye Art Museum Recital Hall, Meydenbauer Center, and in Seattle Art Museum’s Plestcheeff Auditorium. She won second prize in the 2014 Bach Festival, as well as first in the recent one in 2015, and was also an honorable mention recipient in 2014 Classical Viennese Festival in Seattle. 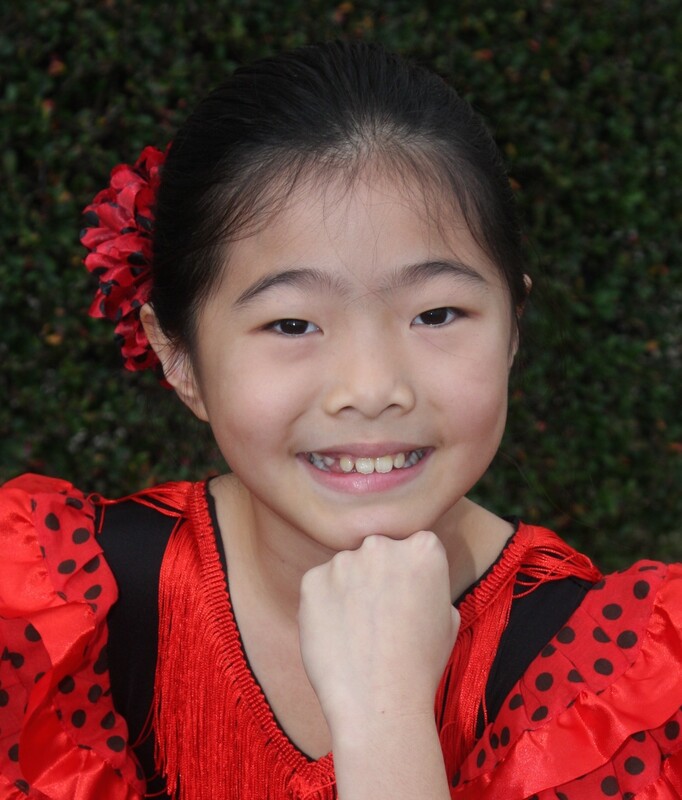 Besides playing piano, Rebecca enjoys arts and crafts, ballet dancing, figure skating and she is also an advanced blue belt Taekwondo student. Clara Belle began playing piano at home with her mother in Minnetrista, Minnesota. From an early age, she loved to sing along and share her music with others. She considers playing music as an outlet to express her creativity and she enjoys discussing and playing music in different ways. She began formal training in 2013 with Dr. Reid Smith and has attended master classes with Vicenzo Balzani of the Milano Conservatory and noted Russian pianist Alexander Yakovlev. She was selected as an outstanding performer and awarded performance opportunities in the Wildwood Concert Series. In August of 2014, Clara Belle participated in the Accademia Tadini International Music Festival in Lovere, Italy to study with piano professors from Japan, Romania and Italy. While at the festival, Clara Belle performed Haydn’s D major Concerto with the Milano Chamber Orchestra in which she composed her own cadenza. 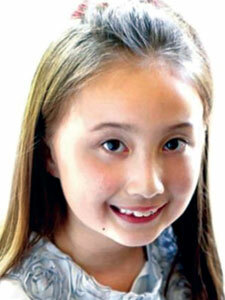 She gave her debut solo recital at age eight. She was recently a featured performer in the Twin Cities Polish Festival Chopin Celebration Concerts. 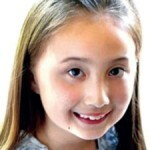 Clara Belle also enjoys reading, writing and illustrating stories, dance, bicycling, downhill skiing and school. She is also a proud recipient of a 2015 Continental Math League National Medal Award. 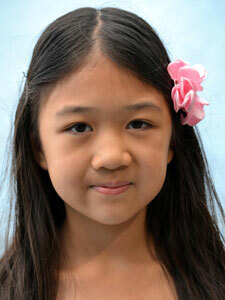 Josephine Chou is a 7th-grader and is currently studying with Professor Hans Boepple. She has won numerous prizes including the San Jose International Piano Competition, the Pacific Music Society, CAPMT Concerto Competition, San Francisco Chopin Competition, the MTAC Concerto Competition, the MTAC Piano Solo Competition, and the CAPMT Honors Audition. She performed Haydn’s Piano Concerto in D Major (first movement) and Mozart’s Piano Concerto No. 9 in its entirety with the Winchester Orchestra in 2012 and 2013; She is also scheduled to perform Chopin’s Piano Concerto No. 1 (first movement) with the El Camino Youth Symphony in the coming year. She has received an invitation to attend the International Chopin Festival in Poland next summer. In addition to performing as a soloist with orchestra and recitalist, Josephine also enjoys chamber music. She is thrilled to be an audition-selected-young-performer in the Music@menlo chamber music program for the past two years. Josephine has also participated in many community outreach programs at retirement centers, hospitals, and serves as an accompanist for her school’s choir. She has had master classes/coachings with Wu Han, Ruth Slenczynska, Gilbert Kalish, Gilles Vonsattel, and Antonio Pompa-Baldi. 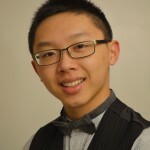 Born in 2003, Dominic began studying piano performance at the age of five, and has studied under the direction of Dr. William Wellborn since 2012. Dominic is a regular prize winner at various competitions and festivals sponsored by the Chopin Foundation, San Francisco Chapter, Junior Bach, the Auburn Symphony, Enkor Music Competition, American Protégé, AFAF and AADGT. He started learning organ with Dr. Angela Kraft Cross last April. He has performed preludes, offertories, communions and postludes at Congregational Church of San Mateo, Christ Church of Los Altos and St. Bede’s Episcopal church and at members’ concert sponsored by American Guild of Organists. He also finds composing on the organ fun and rewarding. Dominic is interested in foreign languages. He is learning French and Spanish currently. 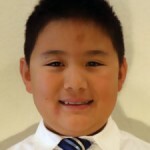 He participates in the Junior Olympic Archery Development program at Stanford University. Dominic is on the Johns Hopkins Center for Talented Youth academically gifted program and received high honors in their talent search program. He is a member of the American Mensa. In his free time, Dominic enjoys playing chess, taking long hikes, playing and watching football and training his miniature pinscher. 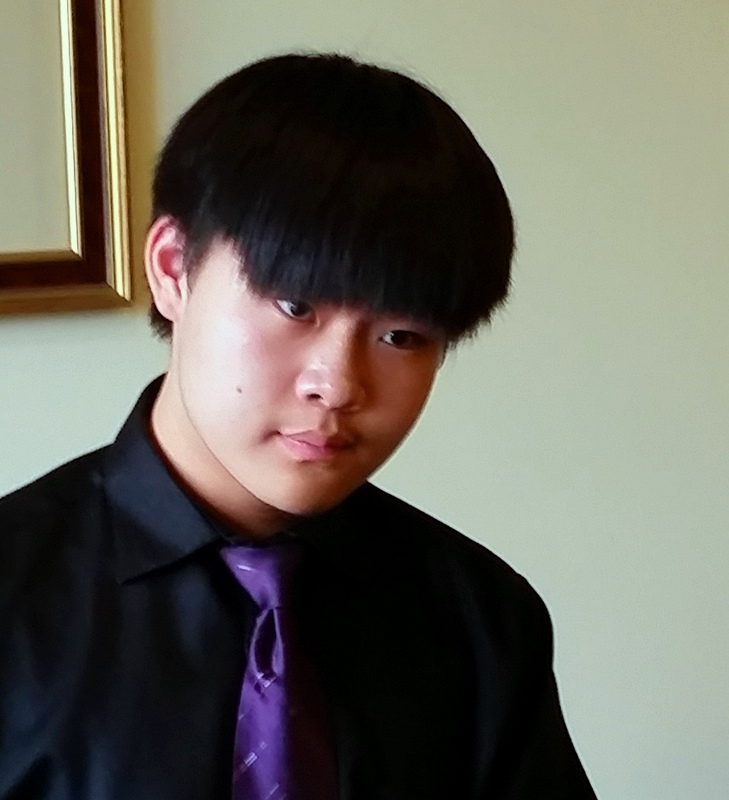 Junhao Wang, a freshman at the Hillcrest High School, studies piano with Dr. Jie Lu and Dr. Ning Lu. 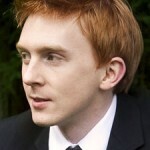 Over the past three years he has won many solo and concerto piano competition awards. His most recent remarkable experiences are his participation in the 2015 Cleveland International Piano Competition Young Artists’ Competition and his presentation on the Young Concert Platform at the 7th World Piano Conference in Serbia. His major accomplishments include first place in the UMTA Piano Concerto Competitions (2013 and 2015), first and second in the Utah International Piano Academy and Helen Taylor Johannesen International Piano Competitions (2013 and 2015), first in Solo (2014 and 2015) and Concerto (2012 and 2014) during the Summer Arts Piano Competition at the University of Utah, alternate in the 2014 MTNA Utah State Competition, was chosen as one of six finalists during the 2013 Seattle International Piano Competition, and first in the 2013 American Fine Arts Festival Concerto Competition. Junhao performed at Weill Recital Hall in Carnegie Hall in 2013 and played with the Salt Lake Symphony in 2012 and the American West Symphony of Sandy in 2015. Since 2012, Junhao has been a Piano Ambassador of the Mundi Project. 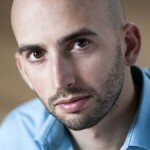 Eric has been widely recognized as a natural and artistic piano performer. Born in 1999, his piano training began at age eight while he attained his ARCT Performer Diploma at thirteen. He has won many top awards, including most recently in 2015 first place at the National Final of the Canadian Music Competition, the Phyllis Salter Competition and the 39th Kay Meek Competition at the Vancouver Academy of Music. Being a Kay Meek Scholarship winner, he will be a VAMSO soloist, performing Prokofiev’s Concerto No. 2 (complete) in February 2016 at the Vancouver Orpheum Theatre. In 2014, Eric became the Grand Prize winner of VAM’s province-wide Concerto Extravaganza after making his concerto debut (Rachmaninoff’s first concerto). He was a soloist with the Richmond Symphony Orchestra after winning the concerto competition at the RMFS. He placed first at the VWMS Piano Competition, following an invitation to perform in their concert series. He was also invited to perform at the RCM Convocation at the Vancouver Chan Centre of Performing Arts. He was the winner of the 2013 BC Provincial Performing Arts Festival. Eric is studying with Amanda Chan at VAM and has performed in master classes with James Anagnoson, Emanuel Ax, and Kirill Gerstein. 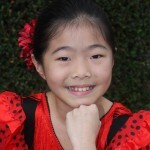 Phoebe Pan, seventeen, is a YoungArts winner and a Grand Prize winner of the Music Center Spotlight Awards in Los Angeles. She has been featured on NPR’s From the Top program and in the Orange County Register. 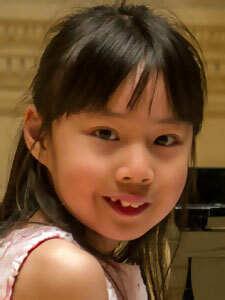 Phoebe was the grand prize winner at the inaugural Tureck International Bach Competition, and she has claimed prizes at other competitions including the David D. Dubois International Piano Competition, the International Russian Music Piano Competition, and The 5th Bösendorfer and Schimmel USASU International Piano Competition. Phoebe has soloed with the Southwestern Youth Music Festival Orchestra, the Seraphim Symphony, the Los Angeles Bach Festival Orchestra, the South Coast Symphony Orchestra and the Mount Orchestra. In addition to performing in concerts and competitions, Phoebe loves to share her piano music with audiences in settings such as senior centers and private functions. In early 2012, she gave a solo recital to benefit the Lone Survivor Foundation (Operation Redwing), raising funds for wounded soldiers and their families. In early 2015, she performed in a concert with her fellow classmates and friends to raise $12,000 for the Angel Heart Organization, which helps children with congenital heart disease. 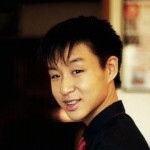 Derek Chung attends Stevenson High School in Lincolnshire, Illinois, and studies with Sueanne Metz. Derek’s recent accomplishments include first place at the Arthur Fraser International Piano, Luminarts Cultural Foundation, American Fine Arts International Concerto, and the Los Angeles Young Musician International Competitions, where he was awarded overall Best Romantic Performance. He won second at the Aloha International, Emilio del Rosario Concerto, Bradshaw & Buono International, and Crain-Maling Chicago Symphony Orchestra Concerto Competitions. He was also awarded Best Early Music at Walgreen’s National Concerto, finalist at Midwest International, semi-finalist and honorable mention at IIYM International, and the bronze medal at the Seattle International Piano Competition. Derek has performed in venues such as Sala dei Notari in Perugia (Italy), Benaroya Hall, Chicago Symphony Orchestra Hall, and Carnegie Hall. He has given numerous public performances including with the Philharmonic Orchestra of the University of Alicante in Italy, and Harper Symphony Orchestra. Derek was chosen for the Shining Stars Concert at Music Fest of Perugia. He has an upcoming performance with the South Carolina Philharmonic in 2016-17.